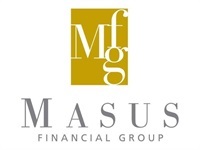 The Masus Financial Group professionals provide personal financial planning and portfolio investment advisory services for individuals. In our complex, rapidly changing financial world, individuals and their families are increasingly anxious about their financial future. Will you outlive your retirement funds? Can you afford to put your children through college while assisting elderly parents? How can you minimize taxes? These timeless questions are occurring in even more uncertain investment markets that include corporate layoffs, changing interest rates, new tax laws, reduced employee benefits, employee-funded retirement plans, and a profusion of financial products. At the Masus Financial Group, guidance on these and other issues are provided by a CERTIFIED FINANCIAL PLANNER™ Professional. The CFP® consultant is trained in the many facets of money management and licensed with some of the most widely recognized and highly respected financial planning firms in the nation. services through LPL Financial, A Registered Investment Advisor. They employ modern portfolio management techniques which are concerned with investment analysis, portfolio design, and performance evaluation. These methods express quantitative views regarding risk and its relationship to investment return. Attention is focused on the overall composition of the portfolio rather than the traditional method of analyzing and evaluating individual components. They are, therefore, able to examine and design personally customized investment portfolios predicated on your explicit risk-reward parameters and on your identification and quantification of portfolio objectives.